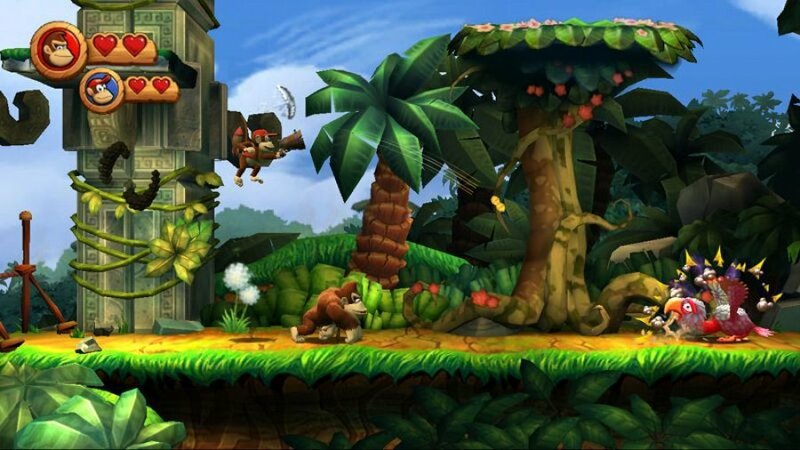 Levels contain enemies, bananas, and other objects and collectibles. 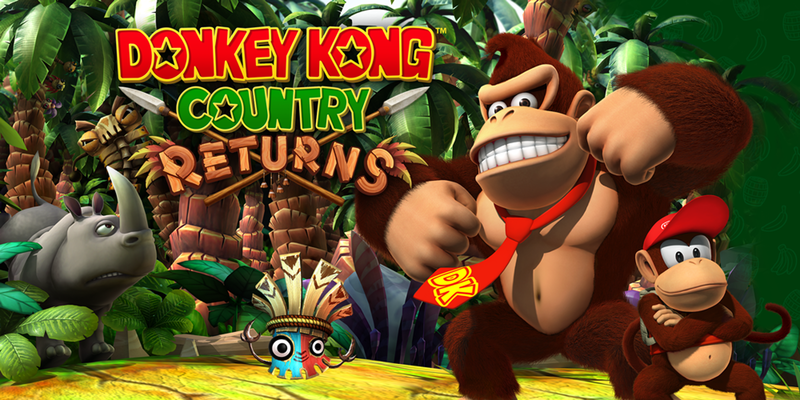 Enemies can be defeated by stomping, rolling, barrel-throwing, and by using an animal. 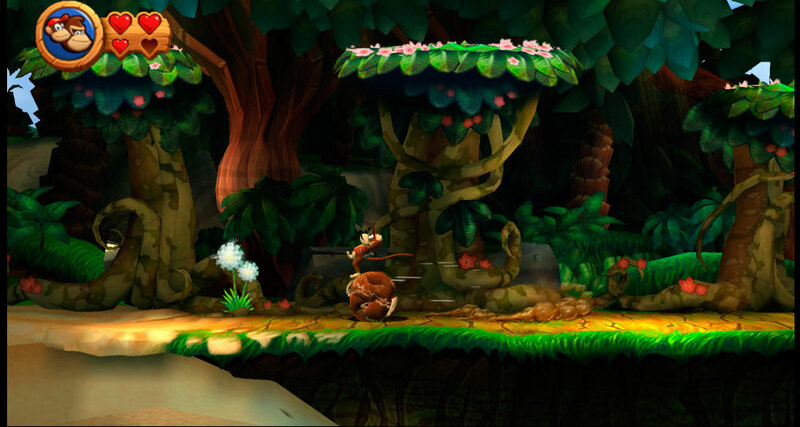 The game has a variety of enemies, each with varying skills and defenses; for example, the crocodile-like klaptraps must be stomped on because of their forward-facing jaws; rolling into them will cause the player to lose a Kong. 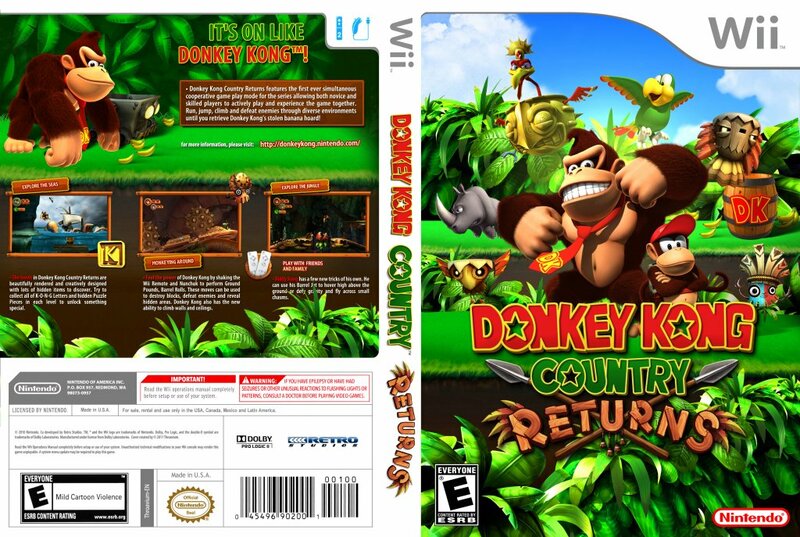 If the other Kong takes damage, the player will lose a life and restart the level from the beginning, or at the previous Star Barrel. 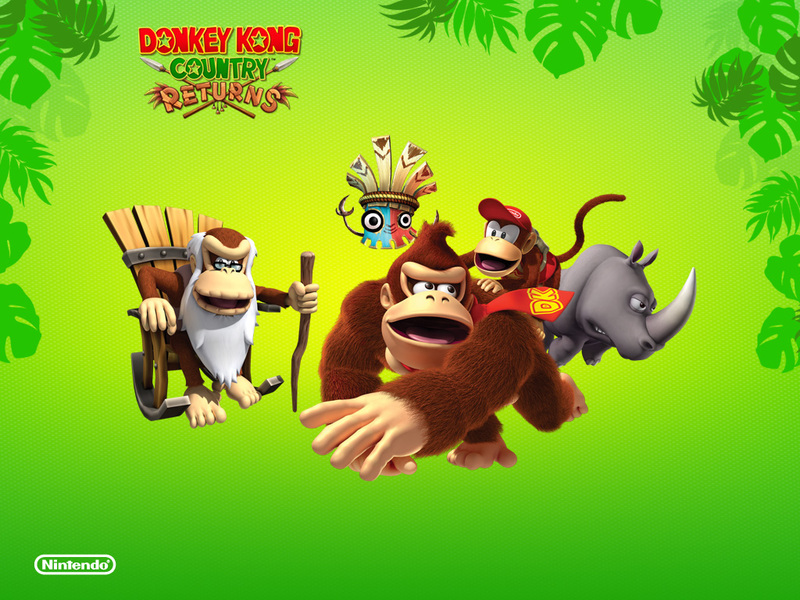 Bananas are the most common collectible; collecting 100 bananas grants the player an extra life. 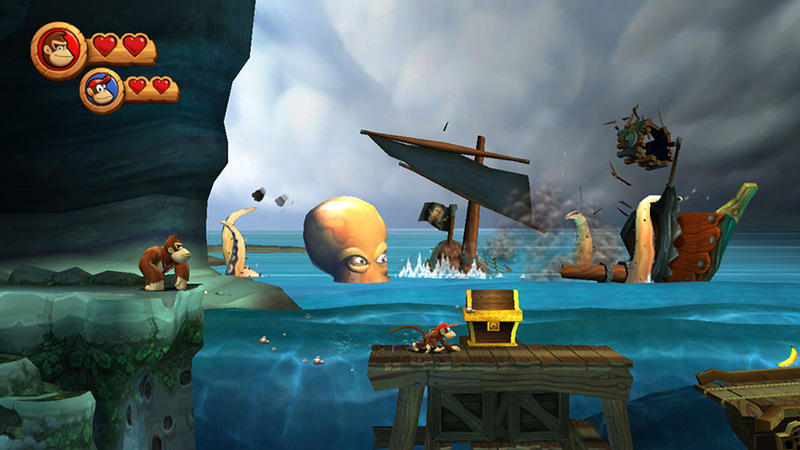 Bananas also guide the player through the levels and sometimes indicate the presence of another collectible or hidden area. Other collectibles include K-O-N-G letters and extra life balloons, which both help the player gain extra lives. When an item is collected, a corresponding counter briefly scrolls. 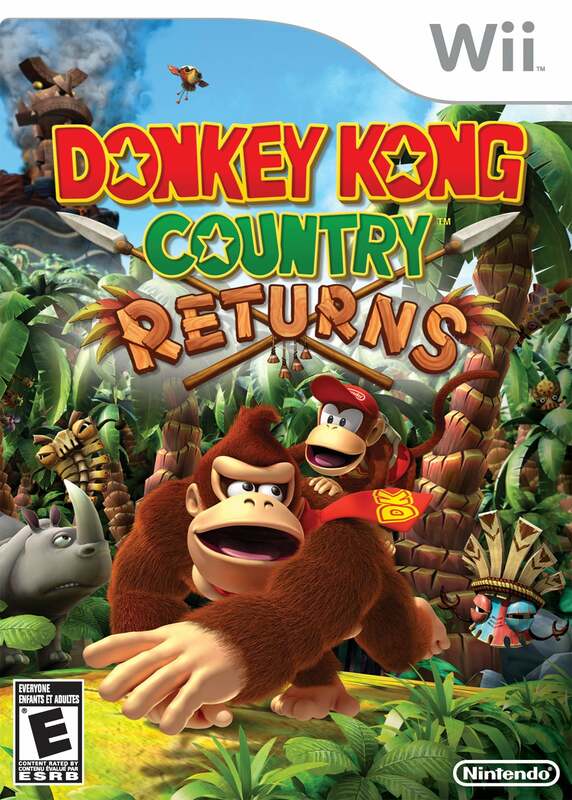 Barrels are common objects; an element retained from the first Donkey Kong game. 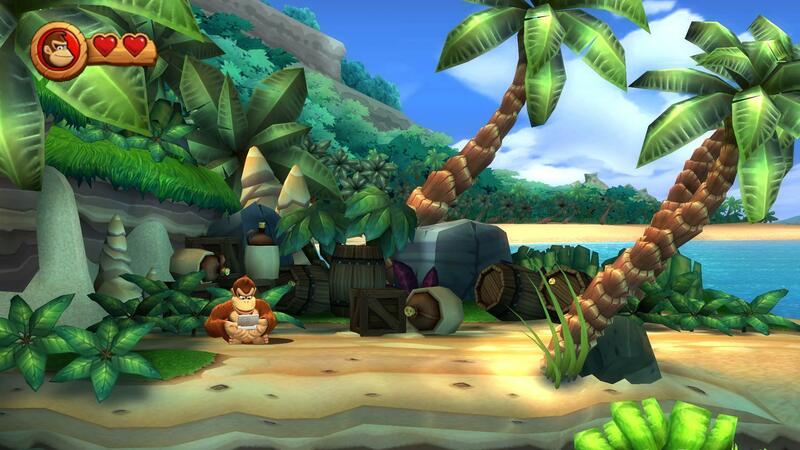 Wooden barrels can be picked up and thrown to defeat most enemies and reveal bonus rooms. 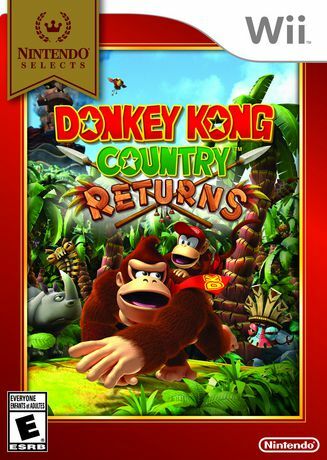 Barrels with a red DK icon revive a Kong when one is absent. 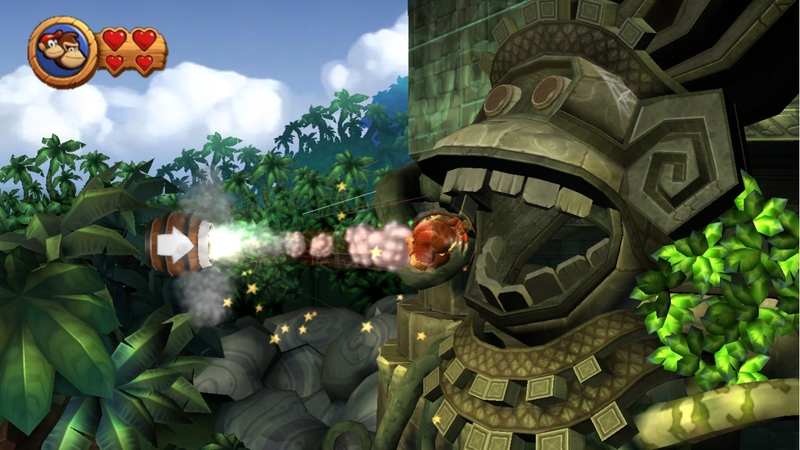 Barrel cannons propel the player-character in the direction the cannon is facing. In later levels, the player must time the releases between barrel cannons to progress. Barrels covered with stars allow the player to resume progress from his or her position in the level.